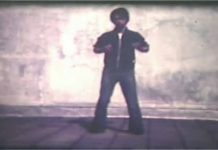 Tony Annesi has studied martial arts since 1964 and has received Black Belts in judo, aiki-ju-jutsu, and karate. 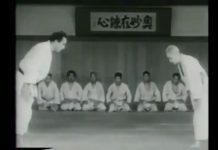 As early as 1977, Tony Annesi received the title Ichiban Deshi no Soke (#1 student of the stylistic leader) in aiki-ju-jutsu from Shihan Albert C. Church, Jr., inheritor of the Shorinji Tetsu Ken Kamishin-ryu. 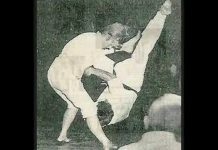 In 1984, the Goshin-kai International, a French federation, and the International Brotherhood of Martial Artists, a German-based organization, both decorated Tony Annesi for his dedication to the martial arts. Tony Annesi wrote a column entitled Tales of the Dojo that later became The Dojo Files for INSIDE KARATE MAGAZINE and for MARTIAL ARTS MASTERS. Tony Annesi has written for SELF-DEFENSE WORLD, INSIDE KUNG-FU, THE INTERNATIONAL FIGHTER, and BLACK BELT, as well. Tony Annesi offers seminars in aiki, karate and seiken budo worldwide, and is the director of BUSHIDO-KAI BUDOYA at 300 Eliot St. #369, Ashland, Massachusetts, which markets martial arts videos, manuals, and other educational materials. He has taught all over the USA, and in Canada, France, Denmark, Germany, and Australia. 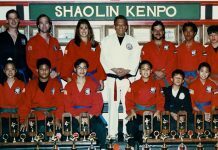 In September of 2000, Shihan Tony Annesi was awarded the “Martial Arts Founder Award” from the World Head of Family Sokeship Council International Hall of Fame (Florida). 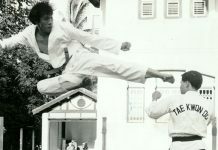 In 2001, he was inducted into the Pioneers and Legends in the Martial Arts Hall of Fame (Missouri). In 2006, he was inducted into the International Black Belt Hall of Fame. In 2012 he was inducted into the Karate Masters Hall of Fame (New Jersey). 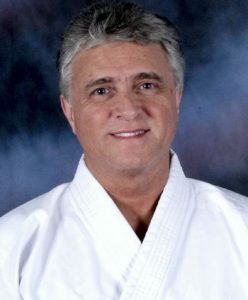 Tony Annesi is featured in Corcoran and Farkas’s landmark reference, Martial Arts: History, Traditions, People and appears in Jose Fraguas’s 2010 book Karate Masters, Volume 4. Hanshi Tony Annesi is currently ranked Kudan 9th dan in Takeshin Aiki and Takeshin Karate-do, Rokudan (6th dan) in Shotokan karate, and Nidan (2nd dan) in judo. 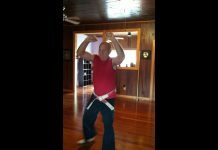 Shihan Tony Annesi has produced 100’s of seminar video programs for Aiki, Karate, and Integrated Arts.